Fawn Over Baby: The Ashcraft Bunch Anniversary Giveaway!! 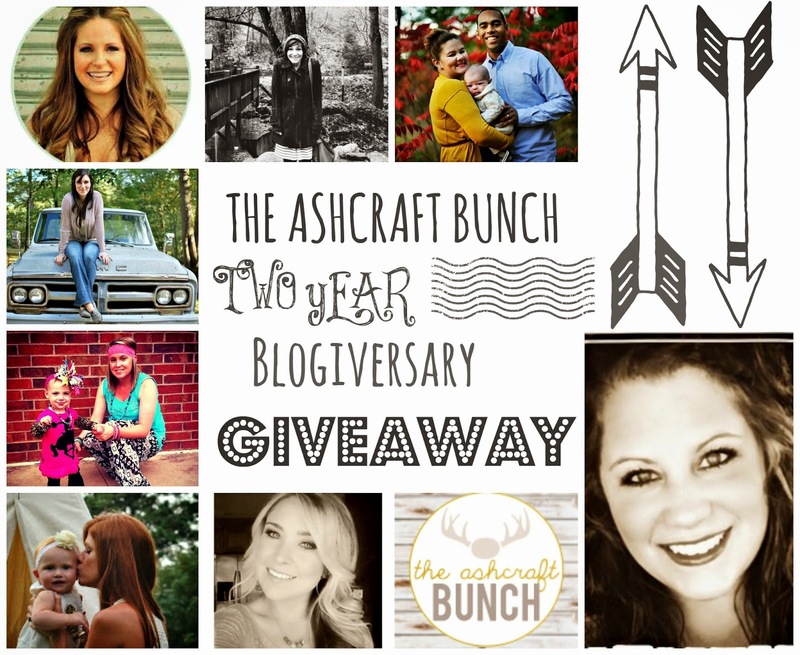 Happy Thursday and Happy Blogiversary to The Ashcraft Bunch Blog! I am so thrilled for my wonderful friend and fellow mommy blogger, Kenzie Ashcraft and the two year anniversary of her fabulous blog, The Ashcraft Bunch! To celebrate this exciting occasion, Myself and these lovely and talented bloggers listed below have teamed up with Kenzie to host a giveaway that will give YOU (readers) the opportunity to win a gift card as a token of appreciation! Feel free to stop by The Ashcraft Bunch to congratulate Kenzie as well as, say hello to all of our giveaway contributors!! Details and Entry Form is Posted Below, GOOD LUCK TO YOU! I want to thank Melissa, Shayla, Sarah, Kelsea, Amanda, Ashley, and Dana for being apart of this special day for me. I love you girls! This year we are giving away 1 $60 Gift Card to Target AND 1 $50 Card to Erin Condren! I know how much I love her planners and what a great thing to win to help organize your new year! Each of these ladies inspire me daily and I have loved becoming friends with them. I just know that you will love following along with them and their journey as well. Please enter the Rafflecopter below honestly. The giveaway will end at midnight on January 15th and one winner will be announced on the blog as well as emailed. Thank you again to all of you who read, comment, email, and are a friend. Thank you for your support and love over the past two years. I appreciate each and every one of you. Thank you so much for contributing sweet friend!